"Fractured Markets" was apparently the correct title for the last update. 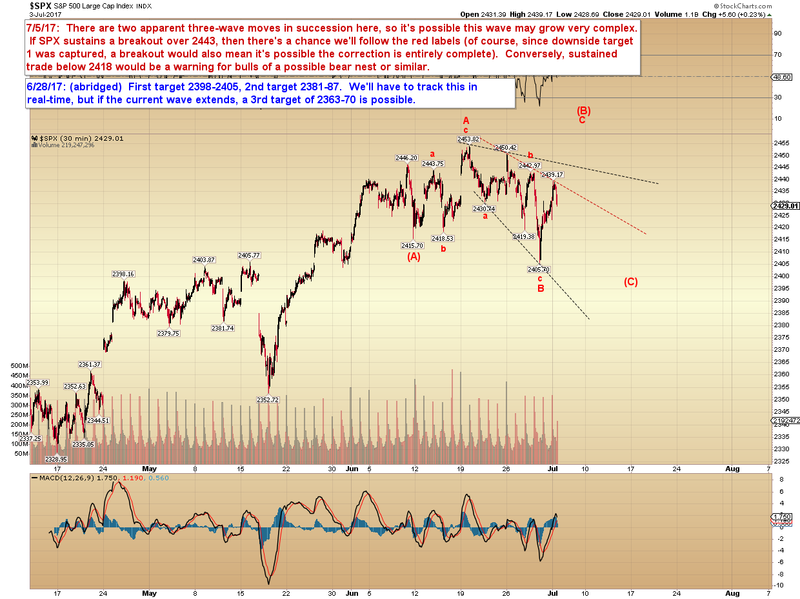 Bulls may not realize it just yet, but the overall market has grown an order of magnitude more complex in recent months. In the past, bulls could count on everything rallying together, but that has not been the case lately. And that means there isn't enough liquidity right now to rally everything at once -- so it may be an early warning shot to bulls. 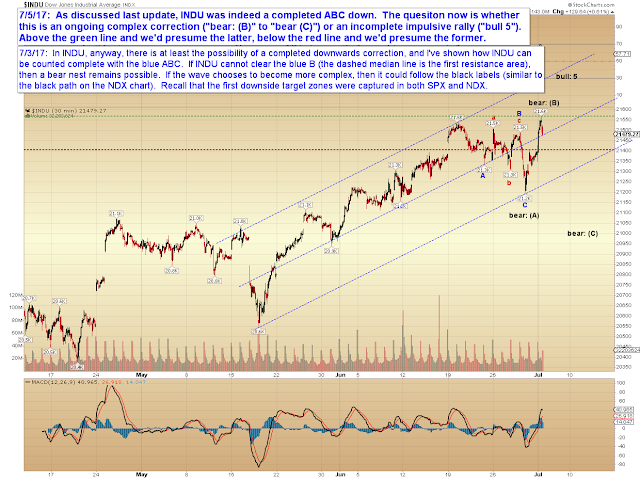 On Monday, INDU made new highs, but NDX made new lows. This could be viewed as the proverbial "flight to quality" and away from beta -- if that trend continues, it would suggest a "risk-off" mentality has entered into the market. Given that many markets have been trading in a range-bound noise zone for some time -- which all by itself makes charting quite difficult -- this fracturing of markets is going to make things that much more difficult for the time being. 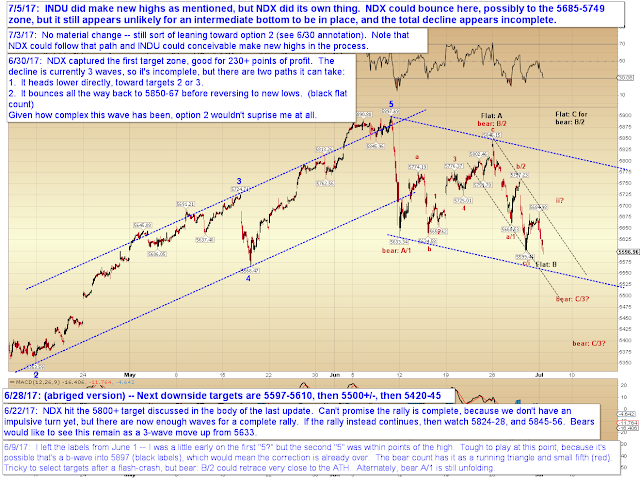 All of this does suggest, however, that the larger fourth wave we're on alert for may be drawing increasingly closer (and may even have already begun in some indices). SPX is a complete mess, but there are a couple price zones to keep an eye on here. Unfortunately, with all the noise of the past few months, those zones can't guarantee anything, but they're all we've got at the moment. I haven't charted the bear nest option on this particular chart, but if this is a bear nest, then things will likely get very ugly on any sustained breakdowns below 2405. 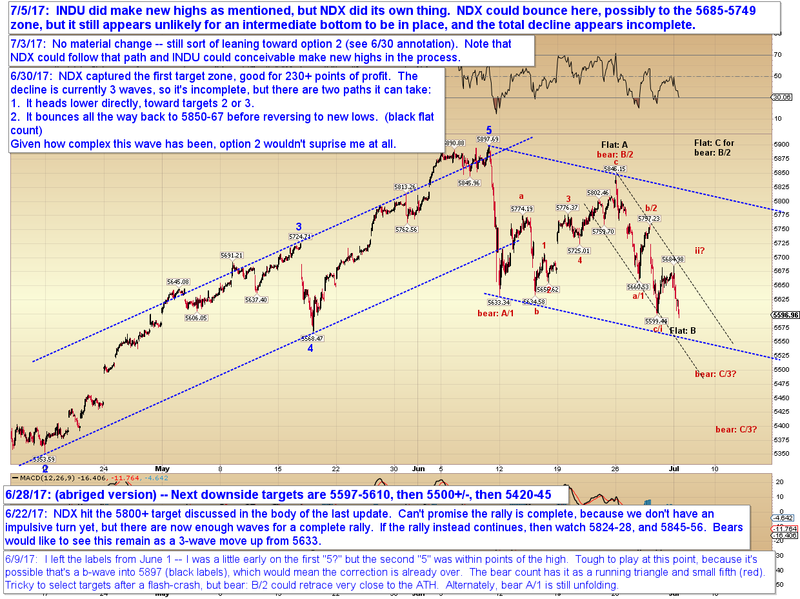 In conclusion, it still appears likely that NDX has not formed a sustainable bottom yet, but (as we saw on Monday), that may not be relevant to INDU or SPX. 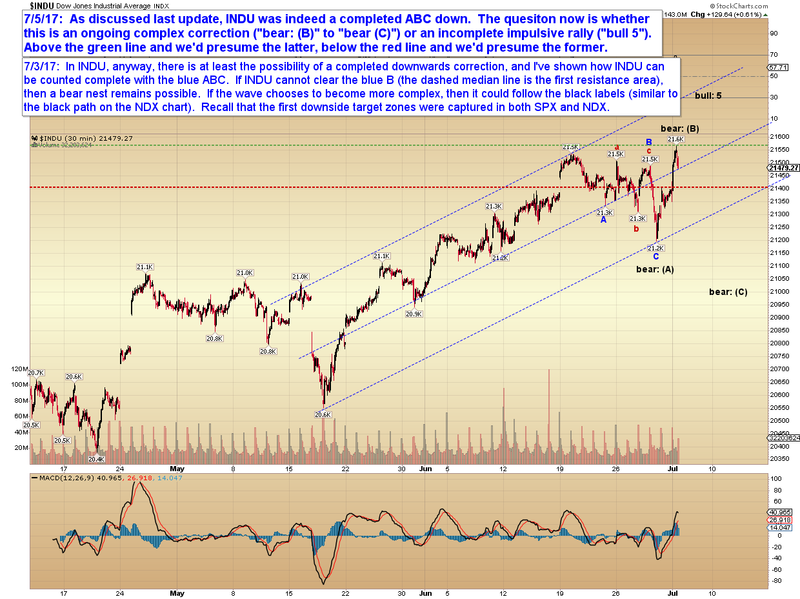 With the choppy overlapping noise zones we've been enduring of late, this is a very difficult spot from which to attempt near-term predictions, so for near-term clues, about the best we can do is watch the zones discussed above. Trade safe.